More used-car dealers are crying foul over a law meant to protect consumers, claiming that some are abusing it to demand the replacement of vehicle parts worn down by age. Just six months after the lemon law was implemented in September 2012, complaints on defective goods in the motorcar industry jumped fivefold to 98 cases, compared to just 19 cases six months earlier, said the Consumers Association of Singapore (Case). It has since handled 302 complaints linked to the motorcar industry under the lemon law, which compels businesses to repair or replace a product found to be defective within six months. But some used-car sellers claim that some consumers are abusing the law. Mr Bret Chia, owner of RPM Automobile, lost one of three claims under the lemon law last year. A customer who bought a five-year-old Volkswagen Passat from him for $94,000 in August filed a complaint with the Small Claims Tribunal that the car battery was defective and caused her car to stall. Mr Chia, 32, was ordered to pay his customer $2,438 for the replacement of the car battery and towing services. The car was sent for checks at STA Inspection Centre and an evaluation report was given to the buyer before the sale, Mr Chia said. "The buyer claimed that her car stalled two weeks later due to the weak battery. She also tried to claim for repair costs to the driver's electric seat and faulty window," he told The Straits Times. Even though Mr Chia was upset with the judgment, he felt that it would be too costly to take his appeal to the High Court, as he had already suffered a loss from the sale. Last year, the Small Claims Tribunal received more than 100 vehicle purchase-related claims. In the latest reported case, Speedo Motoring was ordered to pay businessman Ong Gek Sing $4,500 for a battery. The battery had failed two months after the company sold a second-hand Lexus GS 450 Hybrid Super Lux to Mr Ong for $138,000 in 2012. The sale came with a $1,800 discount as Mr Ong had said no to an extended warranty. The tribunal ruled, however, that although Mr Ong could claim for the defective battery, he could not do so for the tyres and brakes, which had suffered "wear and tear". Speedo Motoring appealed to the High Court, but lost its case. Lawyers told The Straits Times that they have noticed an increase in cases where buyers of second-hand cars complained about car parts that were worn out as the car aged, rather than defects. Lawyer Chia Boon Teck said: "Many people seem to think that the lemon law covers anything that doesn't work. This is incorrect. The lemon law covers defective parts, not parts that are worn and torn in tandem with its age and use. "The law has always been that you are entitled to expect a brand new car to perform flawlessly, whereas you have to accept that a second-hand car will perform in accordance with its age and the consequential wear and tear. "The lemon law doesn't change that." It does not entitle a buyer of a second-hand car to demand that the dealer replace all the worn- out parts with brand new parts, and the age and condition of the car and its parts are accepted by the buyer and reflected in the used-car price, he noted. Mr Fed Wu, assistant welfare officer of the Singapore Vehicle Traders Association, has also seen his fair share of such customers. 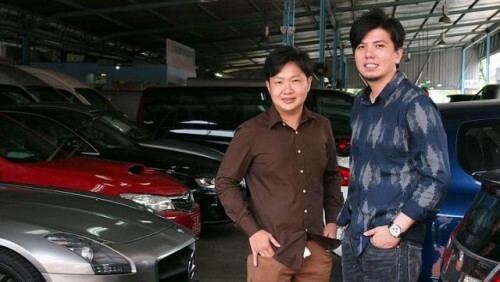 The 35-year-old, who runs used-car dealership Singapore Automobile.com, said: "I have encountered some cases where the damage was caused by the mechanics whom these buyers have sent their cars to, but these buyers would try to claim for repair costs from car dealers, citing their rights under lemon law." "I would explain the law to these customers, but I would still get my mechanic to fix the car for them," added Mr Wu, who is proposing that older cars be given a shorter warranty period under the lemon law. Case executive director Seah Seng Choon said the spike could be due to heightened awareness of consumers. He explained: "The lemon law has also made it easier for consumers to seek redress as the onus is now on the retailers to prove that the goods were not defective at the point of sale or delivery." Case has successfully resolved 50 per cent of the cases for complainants who authorised it to handle their claims. The unresolved cases are either ongoing, went to the Small Claims Tribunal or ended up as civil suits, added Mr Seah.